In a word: YES! There are not enough “yes’s” in existence to get across just how highly I recommend that you experience this film for yourself, in 3-D if you can… and more than once. At least one trailer hails Frozen as “the greatest Disney animated event since The Lion King.” Multiple reviewers have had the same reaction: calling Frozen the best film to come from Walt Disney Animation Studios since Simba’s journey roared through theaters around the world nineteen years ago. Remember that in the interim, we’ve seen films such as Pocahontas (1995), The Hunchback of Notre Dame (1996), Hercules (1997), Mulan (1998), Tarzan (1999), Lilo & Stitch (2002), Brother Bear (2003), The Princess and the Frog (2009), and Tangled (2010). They are not exaggerating. They are being honest. As much as I love all of the post-Lion King movies listed above (some more than others), I have to agree with the reviewers on this one (which is surprising in itself): when the day comes that I find myself holding one of the above films in one hand and Frozen in the other, Frozen will be the one that gets watched, without hesitation or regret. What should I know going in? 1. You should know that every one of the previews is deliberately deceiving. Yes, Frozen is a musical, has moments of slapstick comedy, and involves princesses (and even that has some twists and is dealt with unconventionally), but after you experience the film for yourself (remember: in 3-D if you can), you’ll realize that the moments you see in the previews were clearly cherry-picked so that absolutely nothing was spoiled. 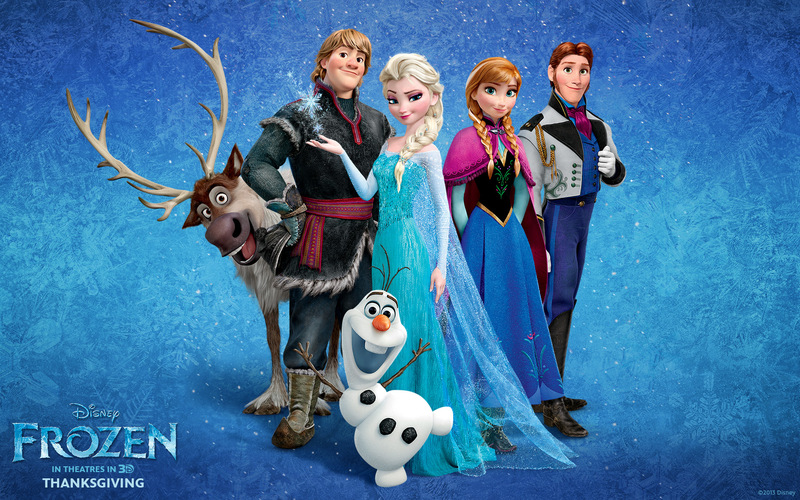 From left to right: Sven, Kristoff (Jonathan Groff), Olaf (Josh Gad), Elsa: Anna’s older sister and heir to the throne of Arendelle (Idina Menzel), Princess Anna of Arendelle (Kristen Bell), and Prince Hans of the Southern Isles (Santino Fontana). Frozen was written by Jennifer Lee, who later also became co-director (her fellow co-director is Chris Buck). Jennifer Lee’s credits include co-writing Wreck-It Ralph (2012), which was another surprising film last year that was not done justice by its trailers, but, really, could not be without spoiling what makes the film so great. On another interesting note, Frozen is the first film from Walt Disney Animation Studios to have a female director; while I’m surprised it took this long, I’m glad it’s happened, and that it happened with a film as fantastic as Frozen. The film is already being nominated for (and winning) too many awards to list here, and every single one of them is certainly deserved. I was planning on seeing Frozen anyway for various reasons (In no particular order, reason one: Disney. Reason two: fantasy musical. If you do a fantasy musical, you will have me in line to buy a ticket: guaranteed. ), but as I read a bit about the film before it came out, the name “Idina Menzel” caught my attention. For those of you who aren’t familiar with Ms. Menzel’s work, her credits include portraying Maureen in both the stage and film version of Rent (the stage version premiered on Broadway in 1996; the film was released in 2005), Nancy Tremaine in Enchanted (2007) (another fantasy musical from Disney that, yes, I’ve seen multiple times), and originating the role of Elphaba in the stage musical, Wicked (2003). (What do you know? Another fantasy musical! Guess if I’ve seen it!) I was never able to see her play Elphaba, but I do have the soundtrack as recorded by the original cast of Wicked, so believe me when I tell you: Ms. Menzel’s voice and range (both vocal and emotional) are simply unbelievable. I was suddenly even more excited to see Frozen. I’d heard nothing but fantastic things about Frozen, so when I made the trek to the theater on foot on an appropriately freezing night to see it the night before it was officially released, I was already expecting something a little different from more traditional “Disney Princess” fare. This was a very promising prospect for me, as anyone who knows me either knows or isn’t really surprised to find out that I’m exactly not too big on the Disney Princess “franchise,” though I definitely enjoy the films within it. (Admittedly, the more modern films resonate more with me, but that’s just personal taste.) But even with my altered expectations, Frozen still drew me in immediately, bringing me along on an emotional roller coaster that lasted literally from beginning to end, and continuing to subvert my remaining expectation in the very best way possible throughout for good measure. If you roll your eyes every time you see the phrase “Disney Princess,” you will love Frozen. 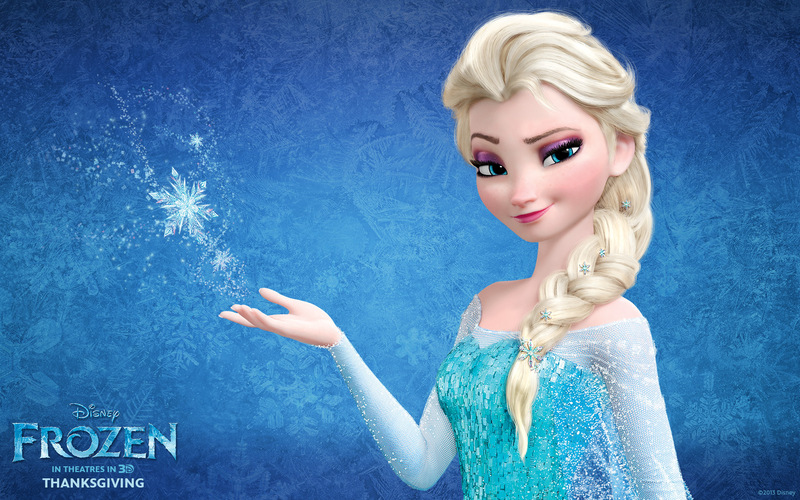 If you’re the Disney Princess’ biggest fan, you will love Frozen. To make a long story short: you will love Frozen. Actually, it might be fun for you to go into Frozen expecting it to be a traditional “Disney Princess” movie. Just please be sure to let me know at what point Frozen blows your mind, because it will. There are twists and turns you will not see coming, even if––– in fact, especially if––– you consider yourself to be a savvy viewer. If you think the twists came out of nowhere, see the film again and have even more fun not only catching things (including song lyrics) you didn’t the first time and connecting more dots, but also hearing the reactions of everyone else experiencing all of it for the very first time. Not to mention the fact that you get to fall in love with the amazing characters and experience their journeys with them all over again. That’s a deal that just can’t be beat. As of this writing, I’ve already seen Frozen five times, and definitely plan on doing so as many more times as the local theater and my schedule will allow me to. 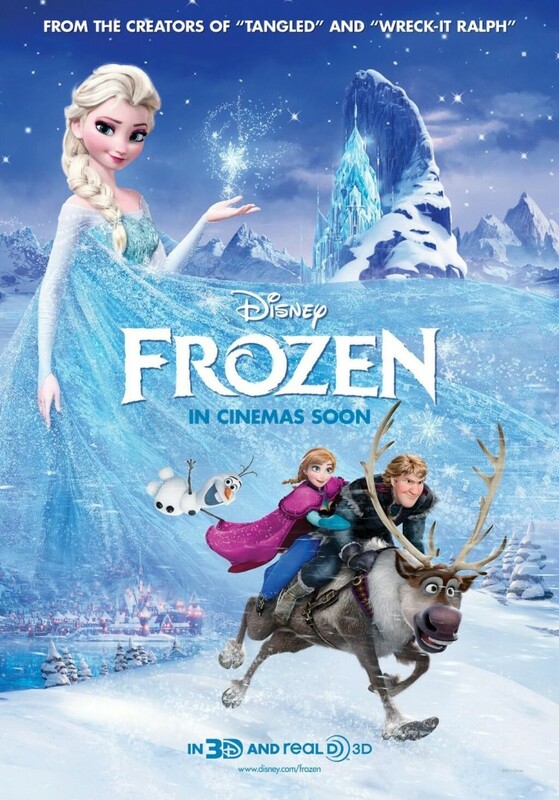 In short, Frozen will make you smile, laugh, gasp, fall in love with and care about the characters, wonder what’s going to happen next, come out of the theater singing (or, if you’re more bashful, humming), applaud (when the credits start to roll, and maybe even at certain moments beforehand), and even tear up (if you don’t completely break down). Provided, of course, you don’t have a frozen heart. The next section contains major, serious spoilers. I’ll put in a picture of Elsa as a placeholder for you to enjoy. If you haven’t seen Frozen, I highly advise you to see it first, then come back later to read the next section. This is your final warning: go see “Frozen,” then come back here. Don’t worry: we’ll wait for you. First off, I want to put in a brief note about Olaf: some people are instinctively very dismissive of “comic relief” characters. I usually enjoy them, but I was very impressed by Olaf: besides being a source of levity, he’s also very significant to the film’s story, being the embodiment of the happiness and strong loving bond that connected Anna and Elsa as young children. He even plays a crucial role in the lead-up to the film’s epic, surprising, and moving climax. Where do I begin with Elsa? The previews make Elsa look like the principal antagonist of Frozen: some show her as an outright villain, while others portray her as starting off as simply “misunderstood,” but being pushed too far and becoming angry, vengeful, and, well, villainous. Nothing could be further from the truth. NOT pictured above: The face of an evil villain. Anyone who knows me personally will not be surprised to learn that, although I love all of Frozen’s protagonists, my favorite character is, far and away, Queen Elsa of Arendelle. Let’s face it: in any given film, you can usually find a character you can relate to. However, every so often, you come across a character to whom you feel an instant and very deep connection; someone who resonates with you so strongly that he or she has a special place in your heart forever. In case you haven’t guessed by now, Elsa wasted no time in finding her place in mine. On a side note, apparently, Frozen is the first Disney film in which a Disney Princess becomes a queen––– and not only that, but it happens very early on in the film. In my personal opinion, Elsa is certainly deserving of this honor. The film also shows that being in line for the throne as well as occupying the throne are not to be taken lightly, which is refreshing to see as well. In addition, Elsa is the second Disney Princess to not have a love interest, the first being Merida from Pixar’s Brave (2012). I believe this works to the film’s benefit; adding a love interest for Elsa would not only have been superfluous, but decreased the significance of the bond between her and Anna, which was the very center and heart of the film, and rightfully so. Also, from a character-centered perspective, Elsa has spent most of her life feeling completely alone and isolated. Re-establishing her strong bond with her sister is difficult enough: introducing a love interest on top of that would have caused even more inner conflict and turmoil in Elsa. Anyone who knows me personally will also know exactly why I connected instantly and so deeply with Elsa. I’ll be honest: I love a lot of movies, and I love a lot of characters. However, there are a select few characters that I latch onto so strongly that, in a way, they stay with me everywhere I go. Within the first few scenes of Frozen, Elsa solidified her place among them, and found a special place in my heart. The fact that I am also an older sibling who loves, is very close to, and often protects a younger sibling is only the beginning of my connection with Elsa. 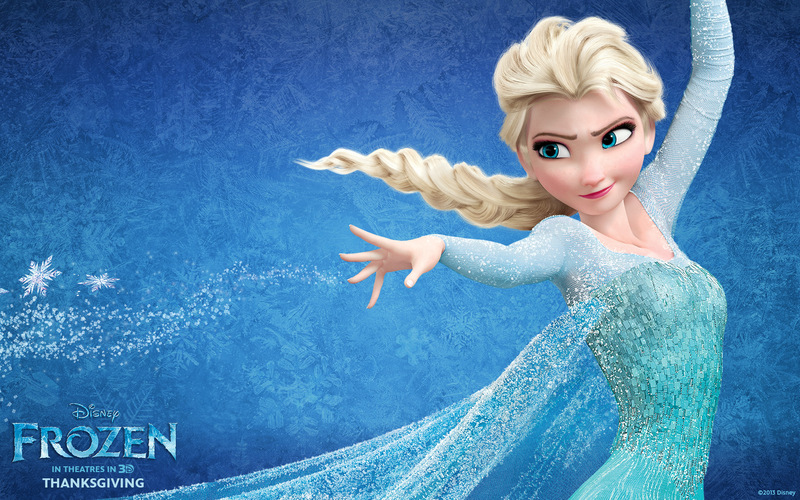 Elsa is not only my favorite character in Frozen, but one of my favorite characters ever, regardless of medium. Anyone who knows me personally may also be liable to wonder why I’m not writing about Anna. Please don’t get me wrong: I absolutely adore Anna. I love her interminable spirit and optimism, and I think she’s not only a very strongly written, three-dimensional character with a distinct and unique personality, but delightful, hilarious, and someone I’d love to be friends with in real life. If Elsa had been written differently––– for example, as an actual antagonist––– I’d be using this space to write about how much I enjoyed Anna in the film. I’ll be honest again: I also love a lot of songs. When I first heard the piano intro leading into “Let It Go,” I was so excited that Idina Menzel was getting a solo song, and couldn’t wait to hear it. I knew Ms. Menzel’s performance of the upcoming song would blow me away: what I was completely unprepared for was just how deep a chord (pun intended) the song would strike in me. As soon as Elsa began the quiet first lines of “Let It Go,” I knew it was going to be a special song in the film; by the time she sang, “Don’t let them in/Don’t let them see/Be the good girl you always have to be,” I knew it would be one of my own all time favorite songs. I am not surprised that “Let It Go” is already being nominated for awards. They are very much deserved. Since this is my first “Thoughts On” post, you may have the impression that I just throw these sorts of sentiments around. Please trust me when I say that I definitely do not take any of this lightly. This is why Frozen was the film that inspired this new series of posts. Anyone who has at least one younger sibling whom he or she loves very much will relate to Elsa. Anyone who has ever felt alone, lonely, and isolated (three distinct emotional states, though they can certainly––– and unfortunately––– overlap), especially for an extended period of time, will connect with her. Anyone who has ever felt ashamed of something that makes him or her special, something that’s an integral part of who he or she is, and felt the need to hide it from the entire world for fear of possibly hurting someone else in some way and of further loneliness and isolation should the secret come out will understand her. While watching Frozen, I always experience Elsa’s inner war for myself. I simultaneously want Elsa to be able to be free with her amazing powers and want her to successfully keep them hidden. I want her to allow herself to get closer to Anna, but I also feel her driving desire to keep Anna and everyone else safe from her powers, and, therefore, her need to hide away from the world, completely alone and isolated. This is a testament to Jennifer Lee’s strong screenplay: you want what’s best for Elsa because you can’t help but love her, but you’re constantly at war with yourself over what actually is best for her. Whoever cast Idina Menzel as Elsa deserves an award. Ms. Menzel was the perfect choice to portray Elsa, especially given her previous role as Elphaba (the parallels between Elsa and Elphaba both as characters and in terms of their respective journeys are too numerous to list here). She gives Elsa both incredible vulnerability and incredible power. You always know that Elsa’s extremely powerful, but you’re also always certain that she’s a good person whose heart is definitely in the right place, even if misguided by deep-seated, long-standing, and all-encompassing and -consuming fear. I didn’t realize just how much I’m used to Disney villains dying until I had a shocking realization around the point when Prince Hans and his armed volunteers stormed Elsa’s ice castle the first time I saw Frozen: if every character in the film thought that Elsa was the villain––– even though she was the farthest thing from it––– Elsa might die. Or worse: be killed. I found myself pleading internally: Please don’t let Elsa die. Please don’t let Elsa die. Pictured above: A very, very punch-able face. See also: Dartboard picture. Disclaimer: I do not condone violence of any kind. 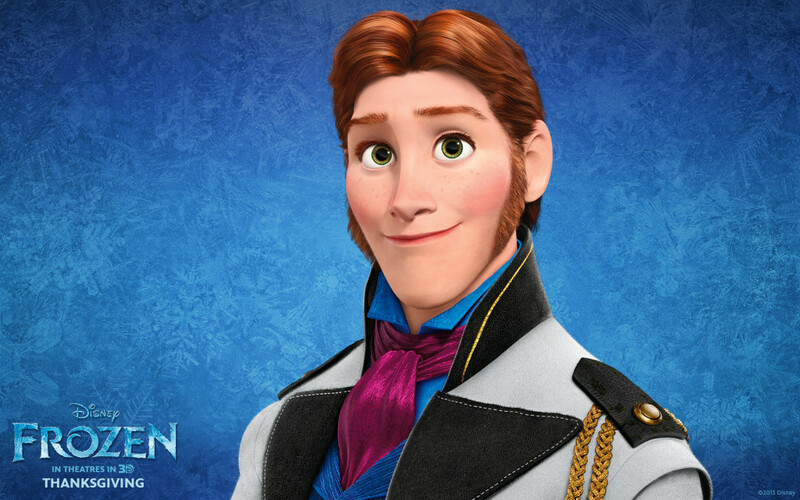 However, please remember that Prince Hans emotionally manipulated Anna from the instant they first met, emotionally and psychologically broke Anna before leaving her to die, was planning on having Elsa, her sister, die one way or another all along, and, in the end, also broke Elsa emotionally and psychologically and took advantage of her grief to try to behead her himself. If that doesn’t justify a fist forcefully connecting with his face from one of his intended victims, I’m not sure what does. And I’ll admit it: I cheered and applauded when Anna did just that. Speaking of Prince Hans, even before it was revealed that he was entirely unworthy of Anna, Elsa had a moment that showed off that, in addition to loving and wanting to protect her sister, she’s actually quite intelligent and sensible. When she bluntly told Anna, “You can’t marry a man you just met,” I rejoiced at her clear-headed logic. Thank you, Elsa! Now, is there any chance someone may be able explain this to, for example, Snow White, Aurora (Sleeping Beauty), and/or Cinderella? At the climax of the film, when Anna is desperately trying to hurry across the frozen fjord toward Kristoff so he can save her life with “true love’s kiss,” I wondered how close she was to Elsa, and if their paths would cross. I hoped that Elsa would perform “an act of true love” for her sister, though I had no idea what it would be, and part of me actually sadly doubted that it would happen, instead believing that it would be Kristoff’s “true love’s kiss” that would save Anna’s life. When Elsa’s despair at the thought of not only her beloved sister dying, but being the cause of it, made the entire storm freeze in time, and I heard the “shing” of Hans’ sword being drawn, I hoped Anna would turn and try to save her sister. Whether or not she would be successful, I honestly didn’t know. Although this may seem silly to many people, I have to admit, I also honestly didn’t know if Anna would thaw after her daring rescue of her sister. Frozen had already subverted so many of my expectations by that point, I actually wouldn’t have been too surprised if it had turned out that saving her sister didn’t count as “an act of true love.” But again, thank goodness it did. Pictured above: True love. See also: Thank you, Disney. With all the acclaim, awards, and money Frozen is rightfully earning, I’m sure people are already wondering about the “s-word”: sequel. Personally, I would welcome the prospect of spending more time with all of these wonderful characters and experience further adventures with them. However, I would also hope that Ms. Lee returns as screenwriter and director to hopefully increase the chances that these further journeys stay true and perhaps add to the amazing and unique spirit of the fantastic original. Frozen has definitely raised the bar for future Disney films, not to mention Disney Princess films, so any and all sequels to Frozen certainly have a lot to live up to. But, based on her work on Wreck-It Ralph and Frozen, I believe Ms. Lee is more than up to the challenge. 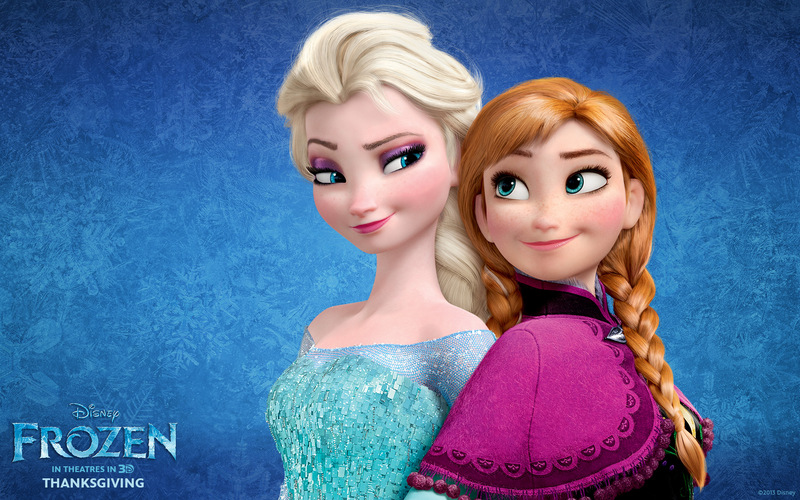 Let’s face it: Elsa’s just returned to Arendelle, begun her reign as Queen, and re-established her bond with Anna. I have a feeling their adventures are just beginning. Pictured above: A wonderful character whom I’d love to see again. See also: Anna, Kristoff, Olaf, and Sven.